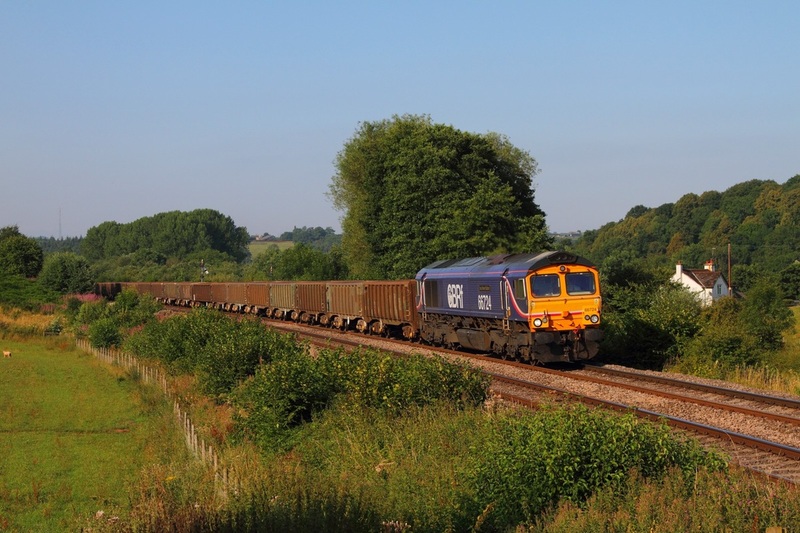 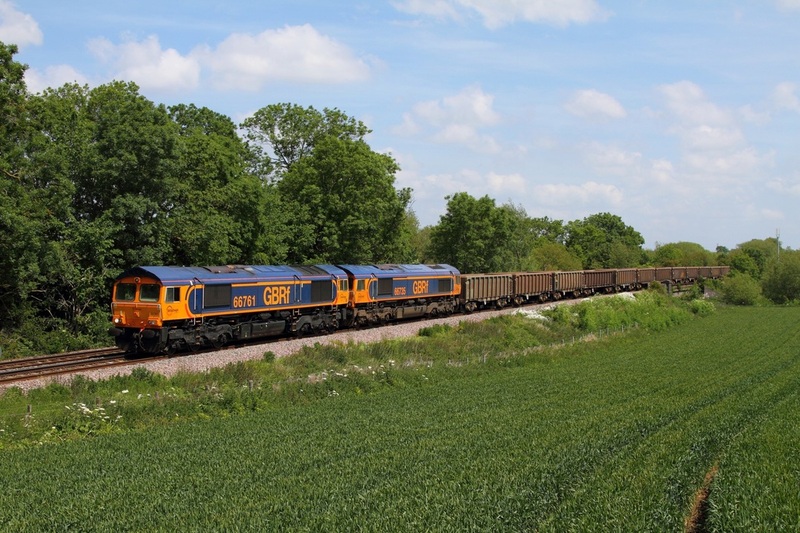 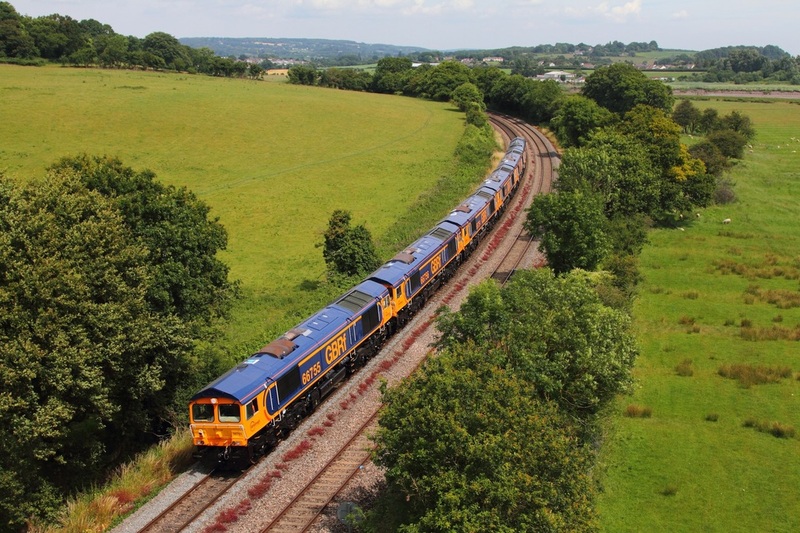 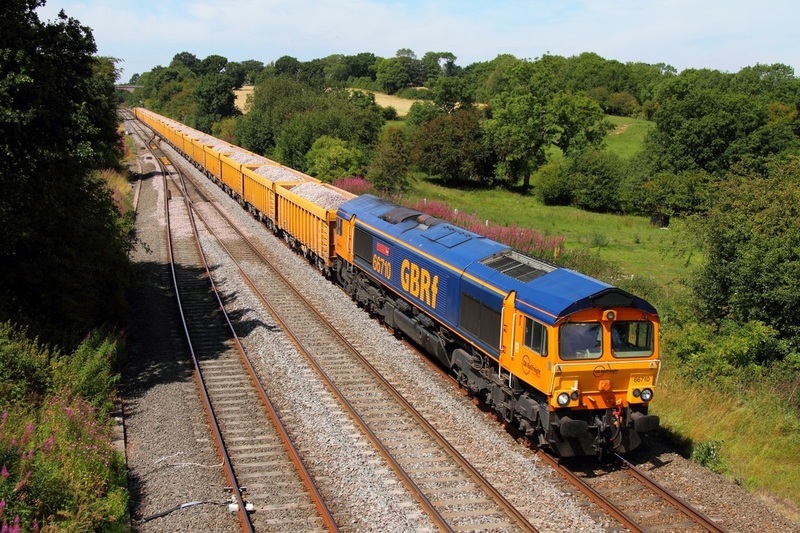 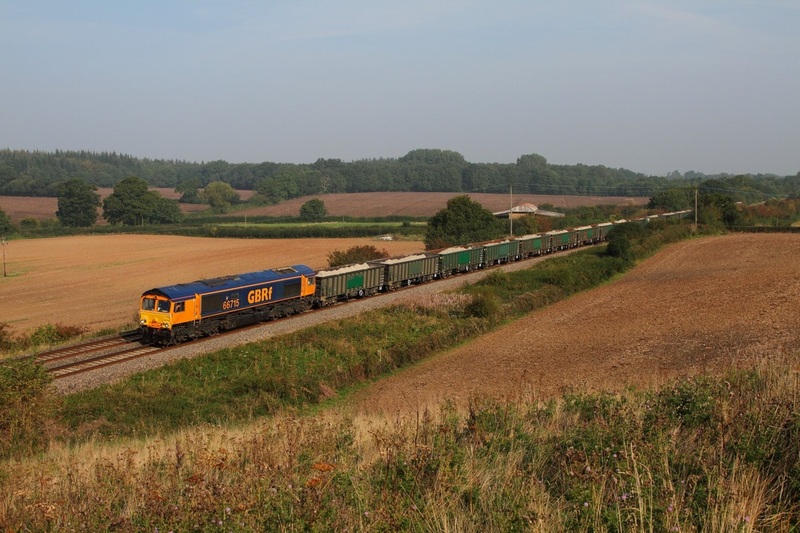 Left: GBRf 66704 leads 6V83 Peterborough to Moreton on the Lugg stone train at Sedbury on the approach to Chepstow on the 8th July 2014. 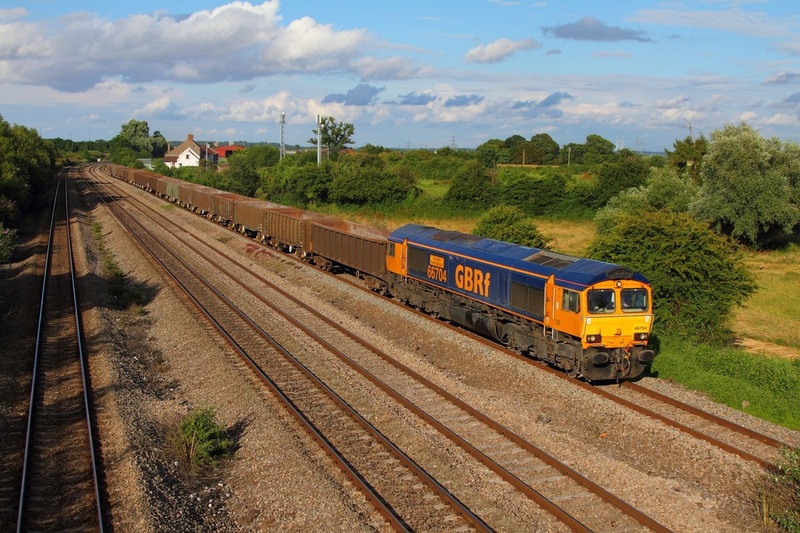 Right: Astonishingly 66704 was held behind Severn Tunnel junction on the relief for over an hour to awaiting time, having gone to Undy just expecting 6X52, the GBRf bluebird trundles down the relief behind 66144. 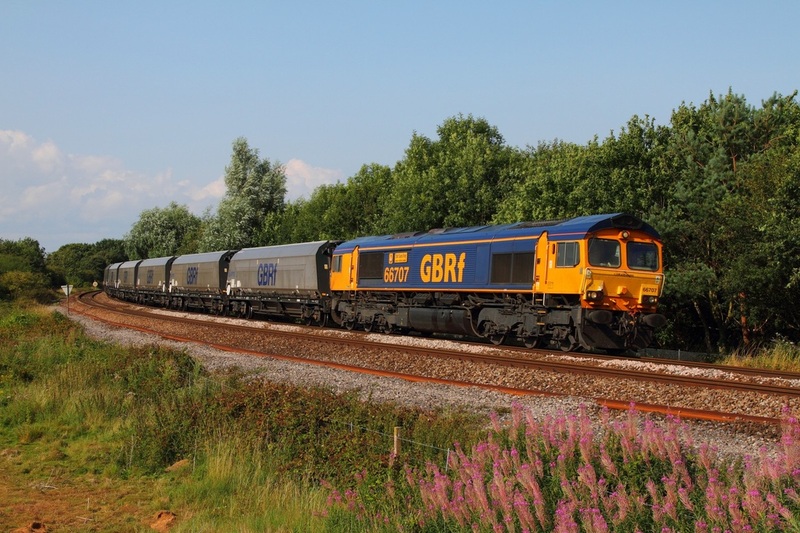 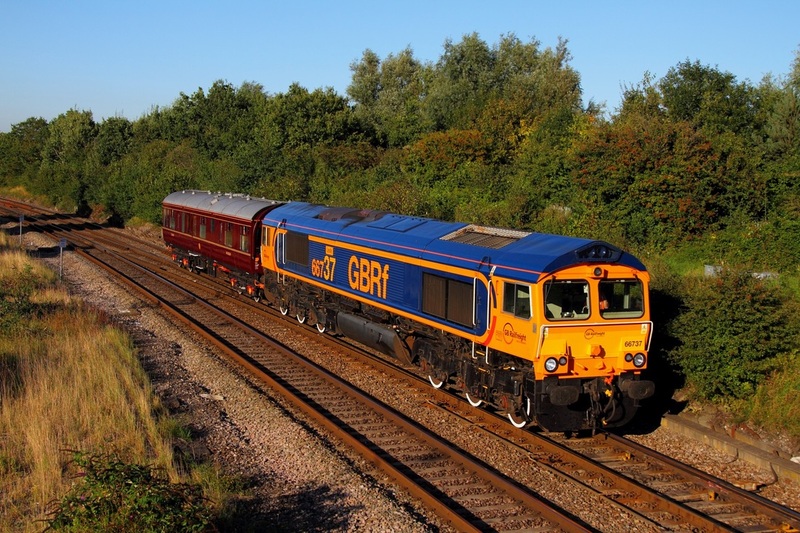 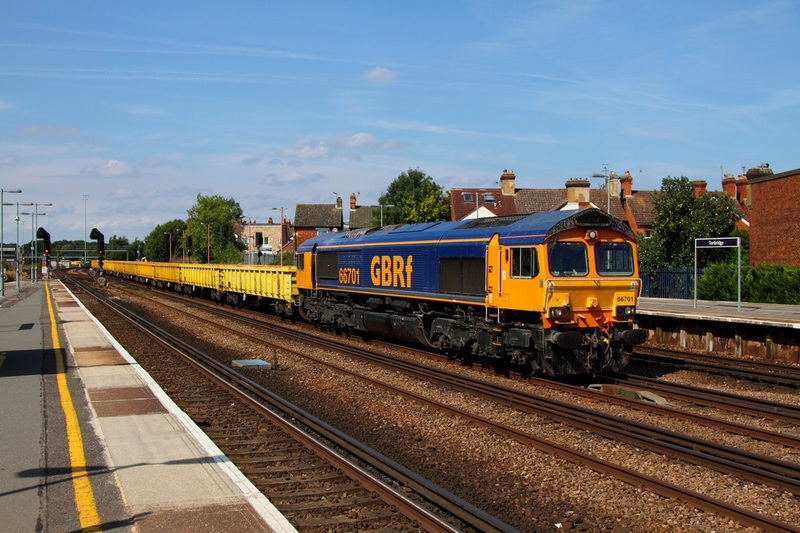 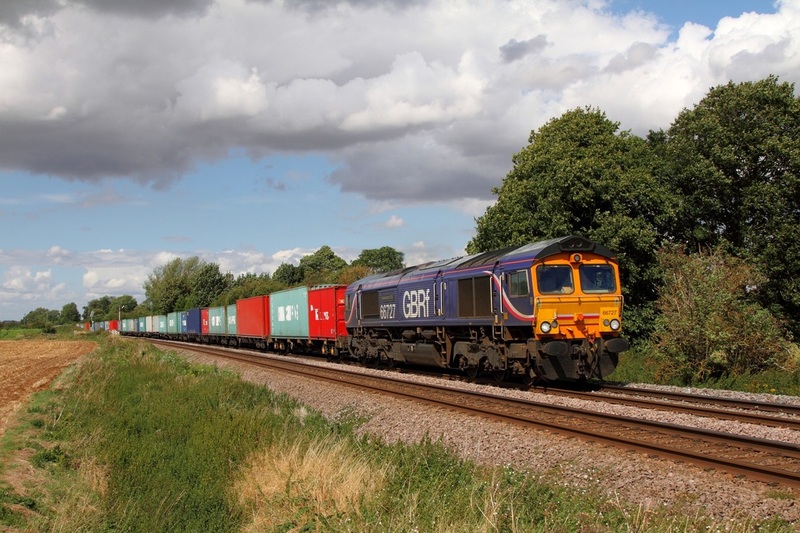 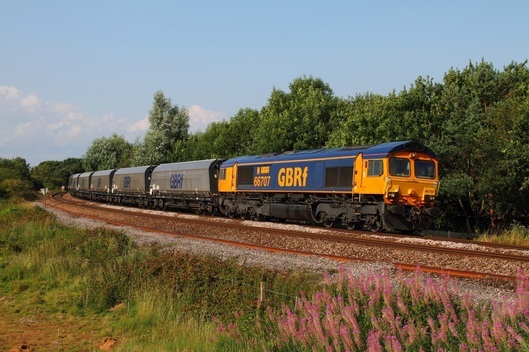 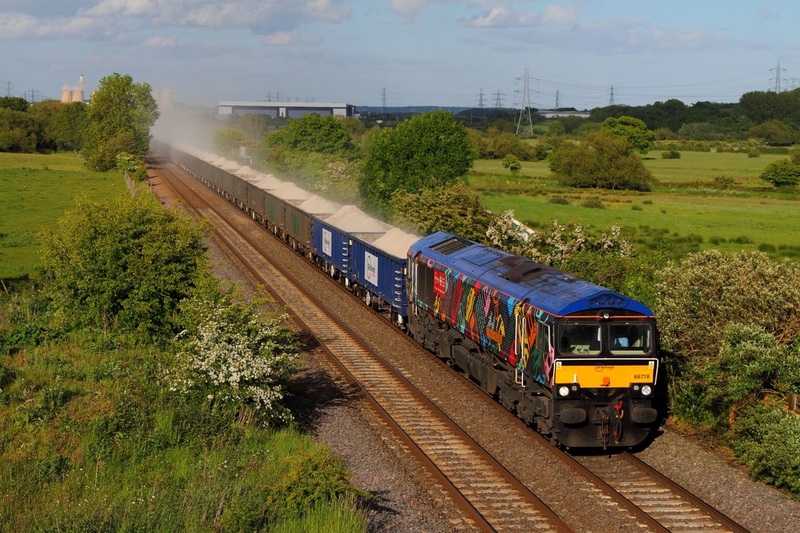 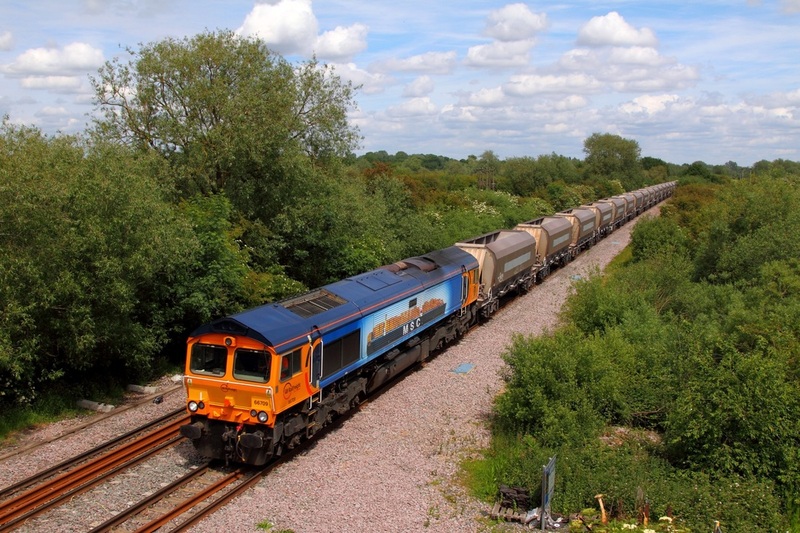 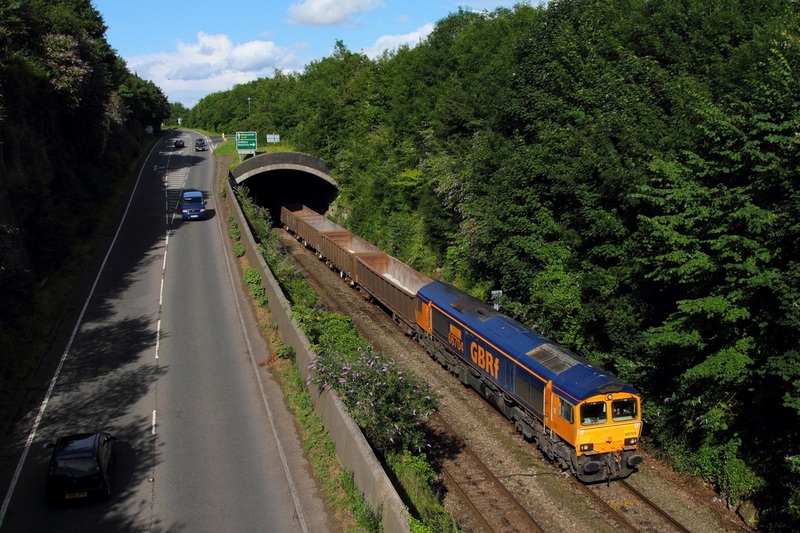 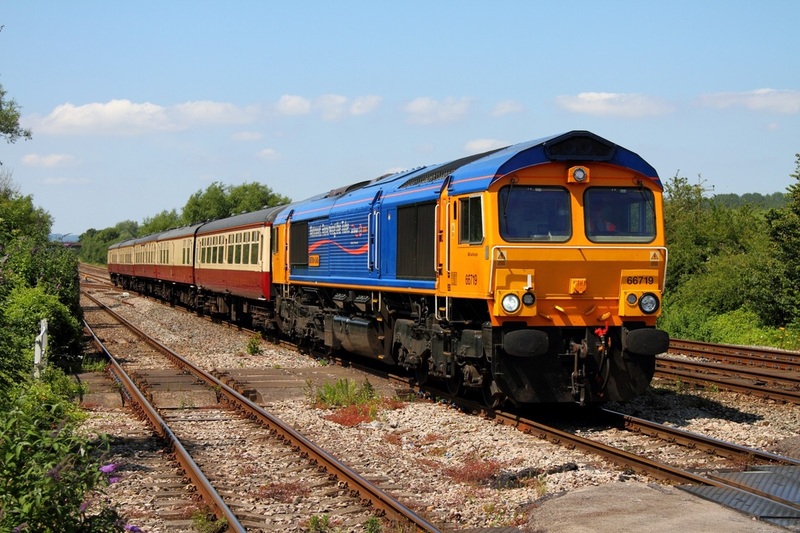 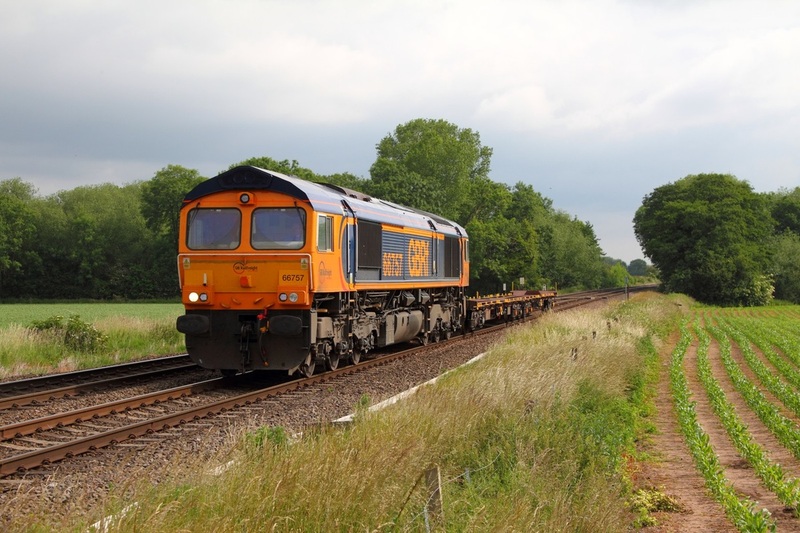 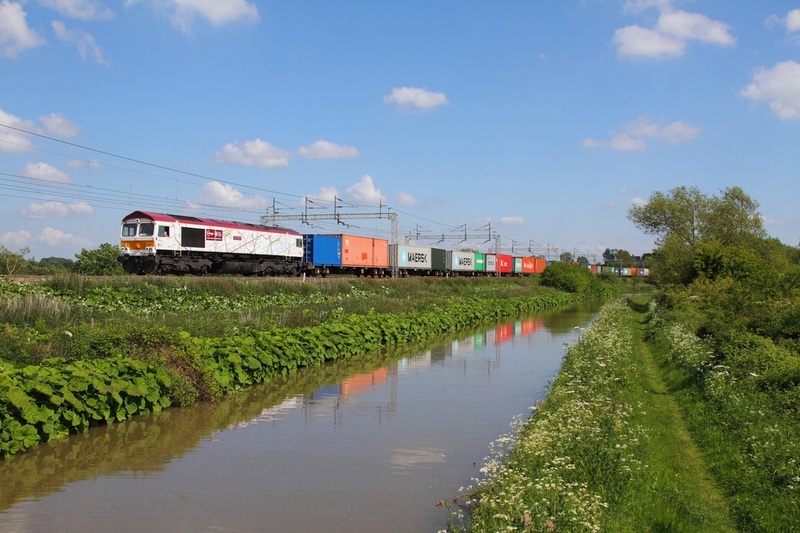 GBRF's 66710 leads the 6O96 Mountsorrel to Eastleigh at Hatton on the 25th July 2011. 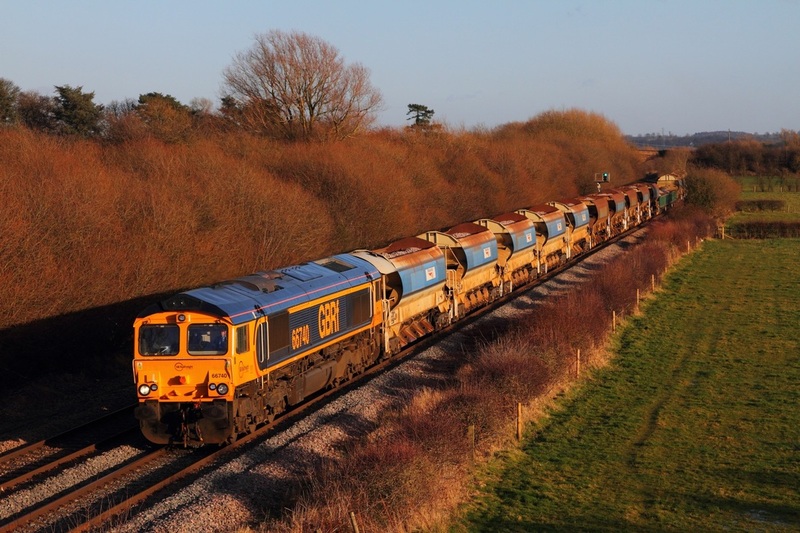 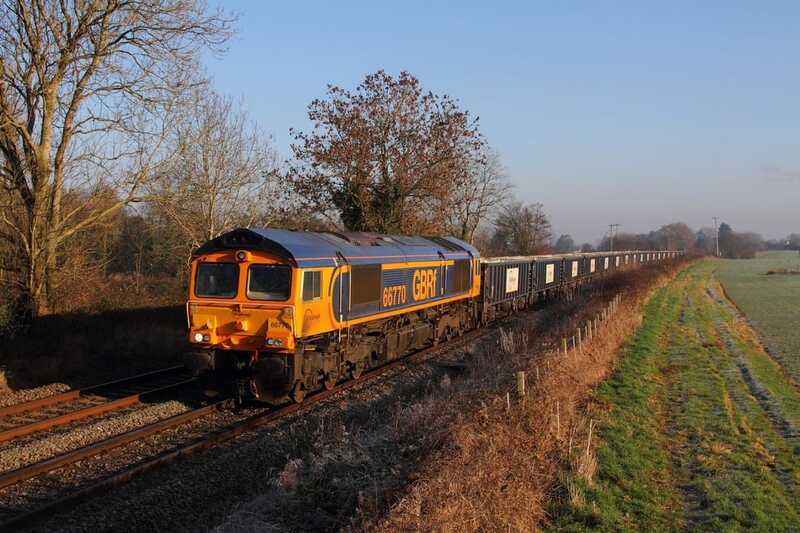 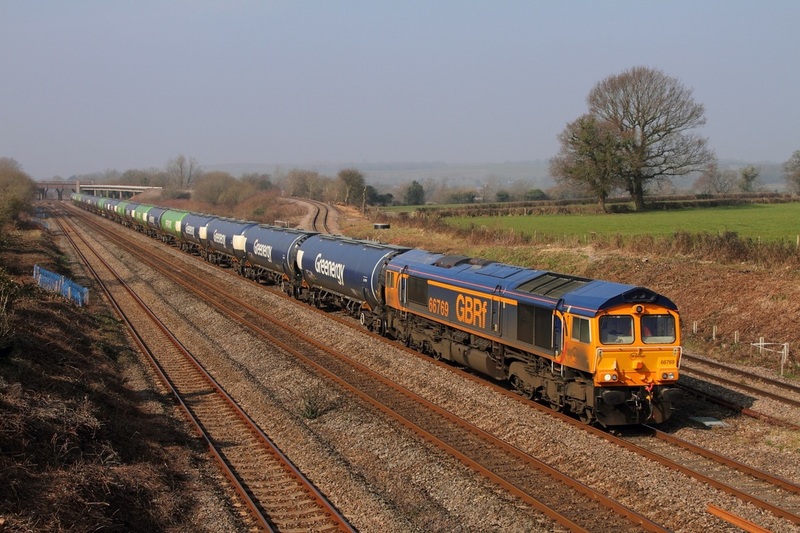 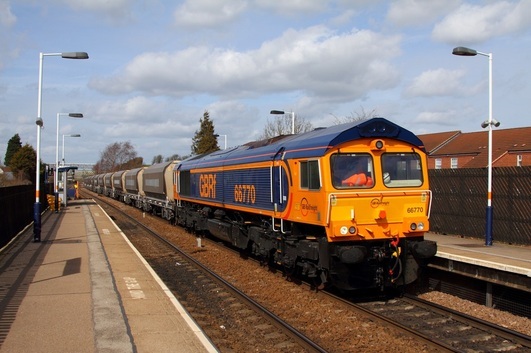 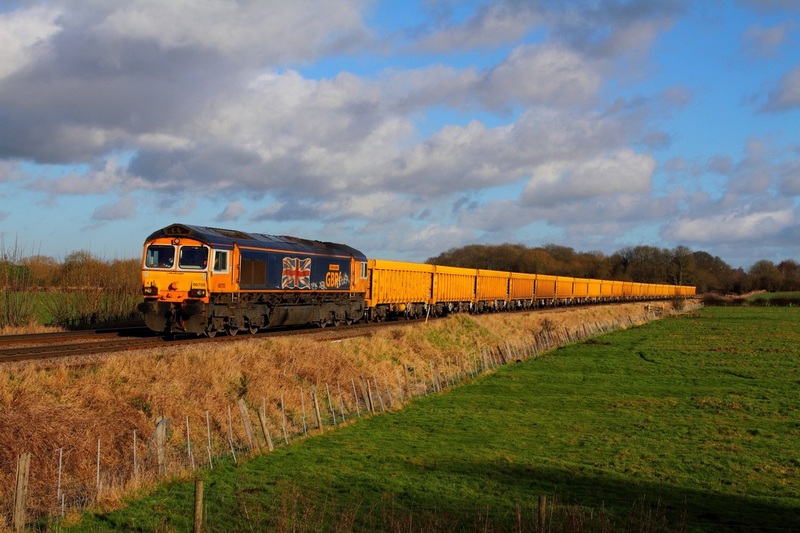 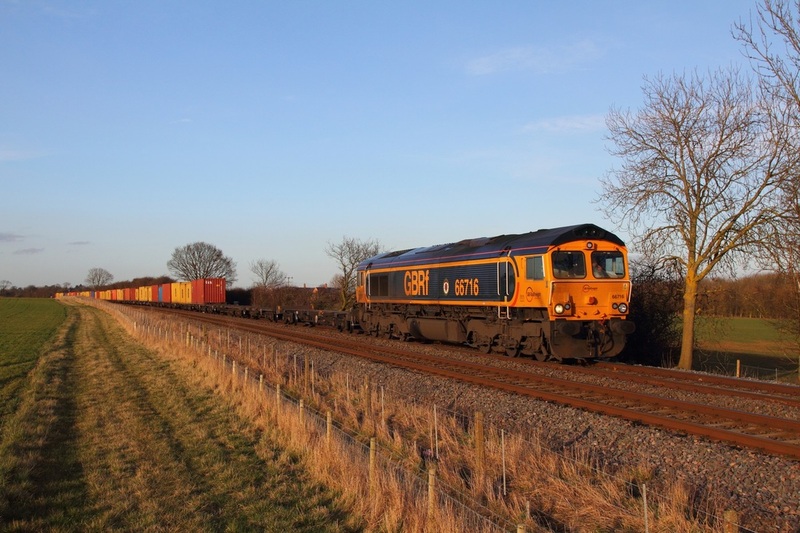 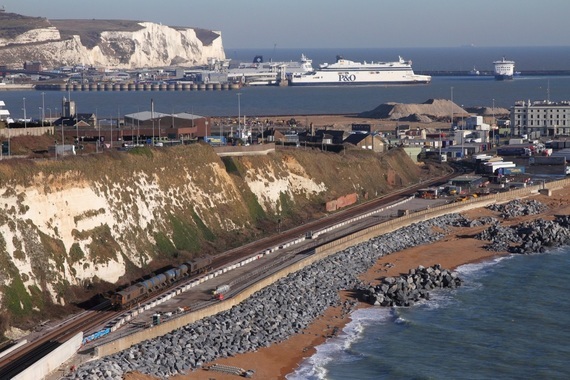 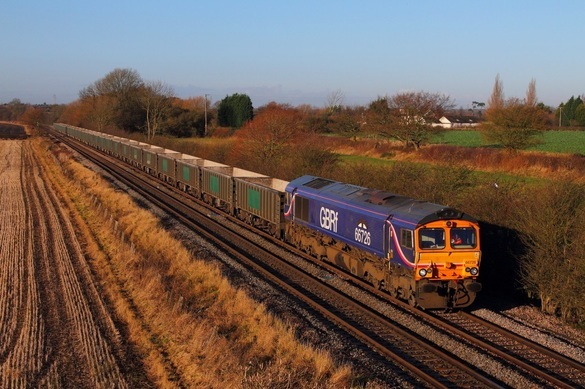 GBRf 66716 powers the 4L22 Hams Hall to Felixstowe at Langham on the 7th March 2014.